A visit to Coney Island on a wet and windy day proved to be something of a disappointment. The scruffy boardwalk was deserted, half of the amusement park was closed, and the few people who had braved the elements seemed to be taking refuge in the local "Nathan's Famous" restaurant. It's the original restaurant in the Nathan's chain, and host of the legendary annual hot dog eating contest. So seemed like a good place to get a hot dog. 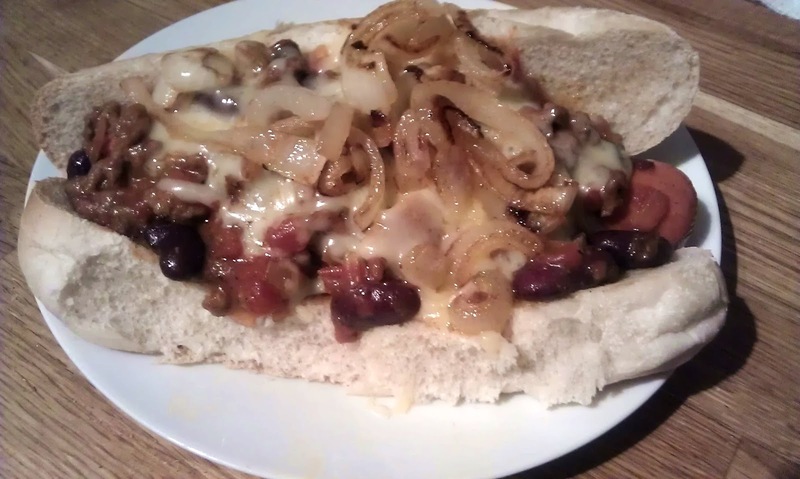 But the chili on my chili-cheese dog was runny and nowhere near spicy enough, and the cheese was flavourless. A heartbreaking end to a disappointing afternoon. It certainly wasn't a patch on my home made version. 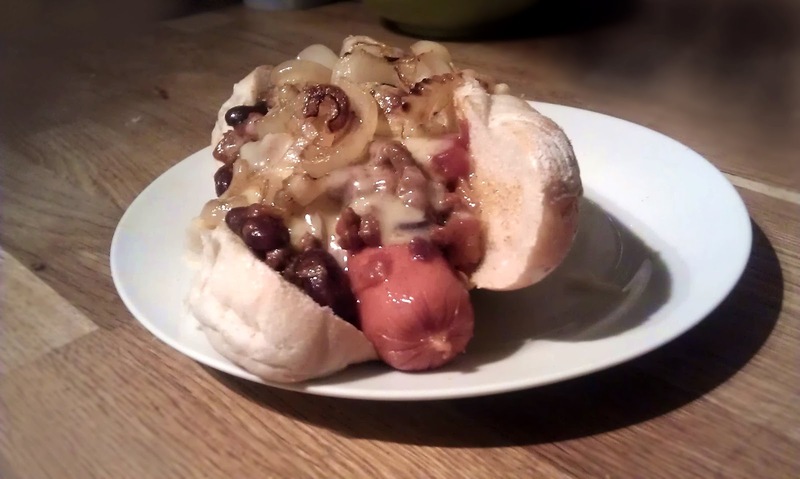 Topped with left-over chili spiked with extra hot sauce, and plenty of grated extra mature cheddar, you could never accuse this dog of lacking in flavour. I put the whole thing in the microwave for 20 seconds to melt the cheese and soften up the bun, and then topped it with fried onions. If you want a job done right, sometimes you've just got to do it yourself.